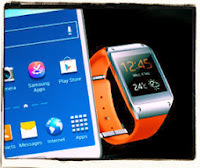 Every review of smart watches like Samsung’s Galaxy Gear that I have read so far concludes that smartwatches do not offer anything new. You can take a picture with a smart watch, boast the makers. We can do that already with a smartphone, respond the critics. But they are all wrong and it wouldn't be the first time. Nobody will need a computer in the home, they argued in the 1970s and nobody will use a blogging site that limits you to 140 characters, they said in the noughties. And they were wrong then, too. Where they go wrong this time is that they compare a smartwatch and a smartphone side by side on a table; in this scenario, yes, I would agree that the watch doesn't do anything that the phone cannot. But that is not a fair comparison. To understand why smartwatches will be useful you have to compare a watch on your wrist with a phone in your pocket – a much more realistic scenario.